I am officially over micellar water! 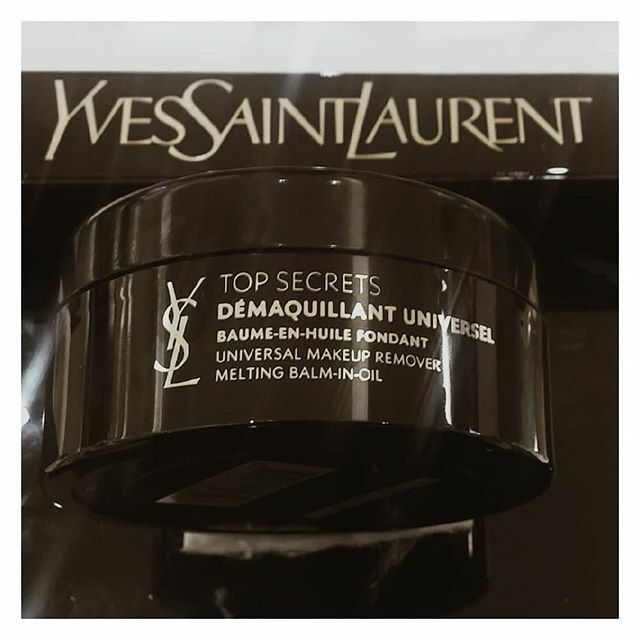 My addiction has begun with the @ysl top secrets universal balm in makeup cleanser – iit’smy 3rd repurchase. The love is so real guys! This soothing shea butter balm gently melts into a luxurious oil cleanser that attracts makeup like a magnet. I use circular movements to cleanse, I add warm water to emulsify then wipe my face with a soft towel. Make up removed – skin cleansed and toned. I don’t even need to use another cleanser afterward. This product leaves my skin super glowy and beautifully hydrated. I love it! I find this is better than Clinique Take The Day Of Balm & Pixi Cleansing Balm.